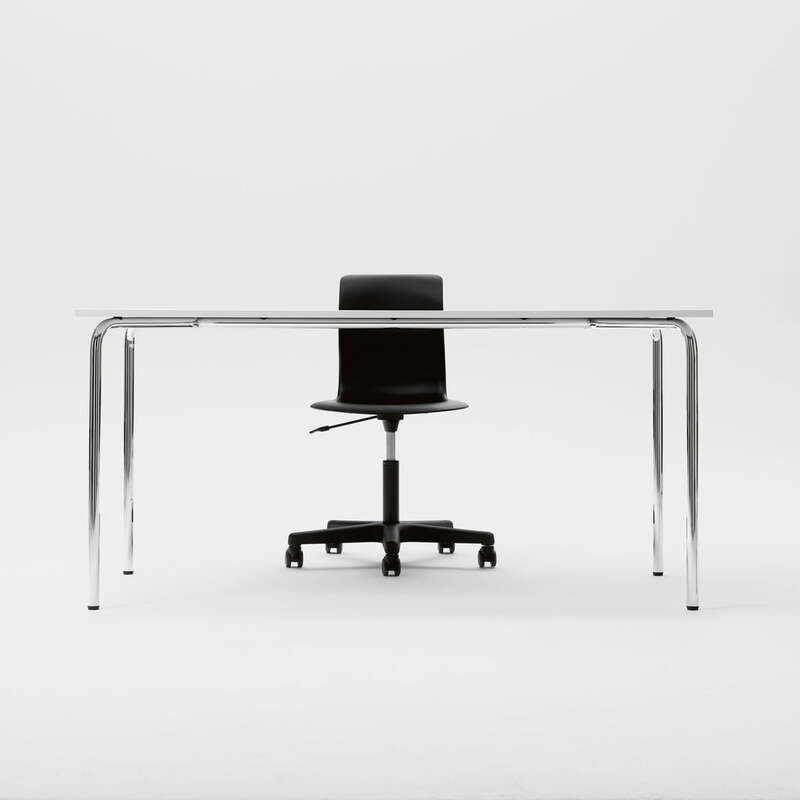 which Konstantin Grcic designed as part of an office solution that would also be practical in private areas thanks to its ergonomics and flexibility. 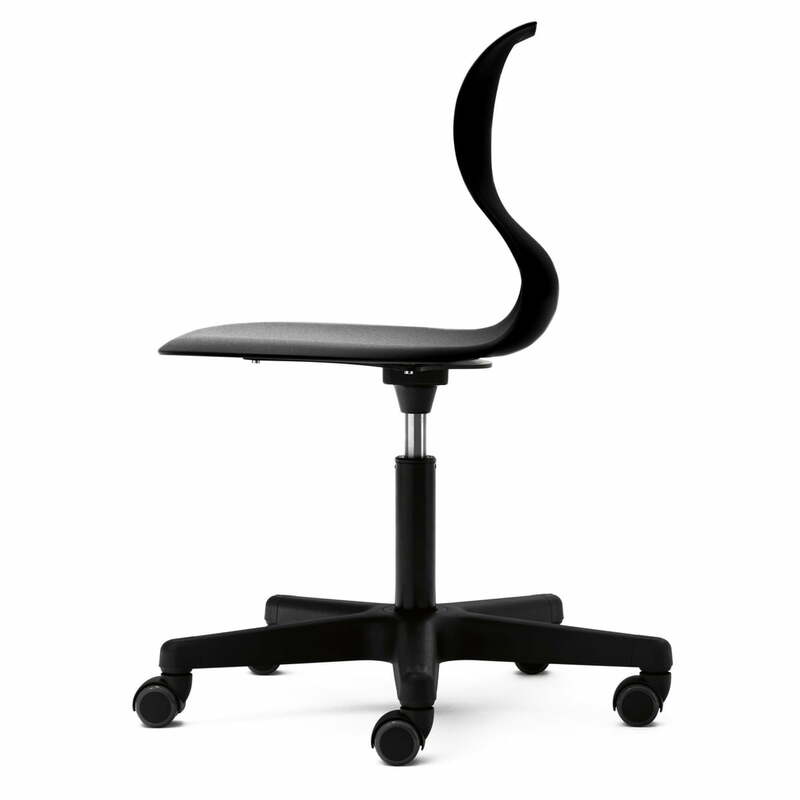 The Pro 6 swivel chair is especially suited for the office and working day. 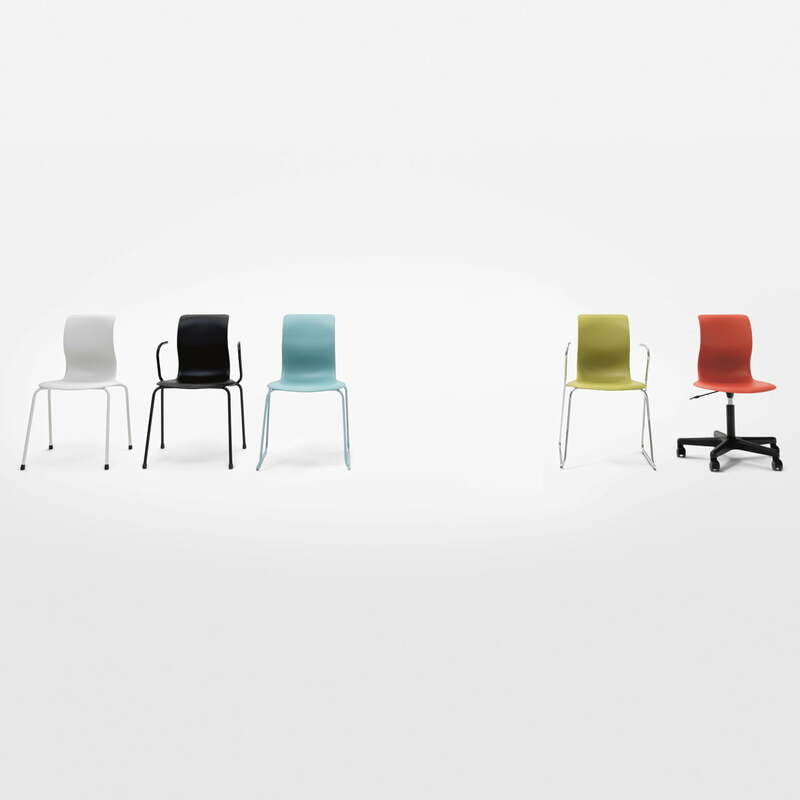 The Pro series was initially designed by Konstantin Grcic for use in schools. Convinced by their concept, the designer and Flötotto developed a whole collection that would also be suitable for showcase and private areas. The Pro 6 swivel chair is one of these further developments. 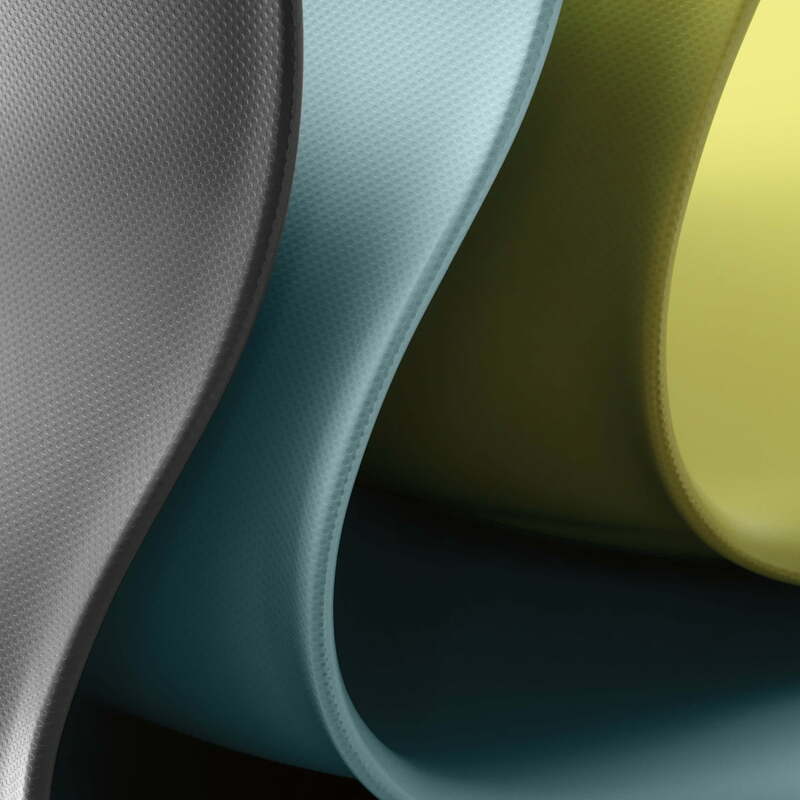 The backrest adapts flexibly to the back and thus offers support during daily use. Since the backrest moves with every change in seating position, the spinal column and back muscles are strengthened. 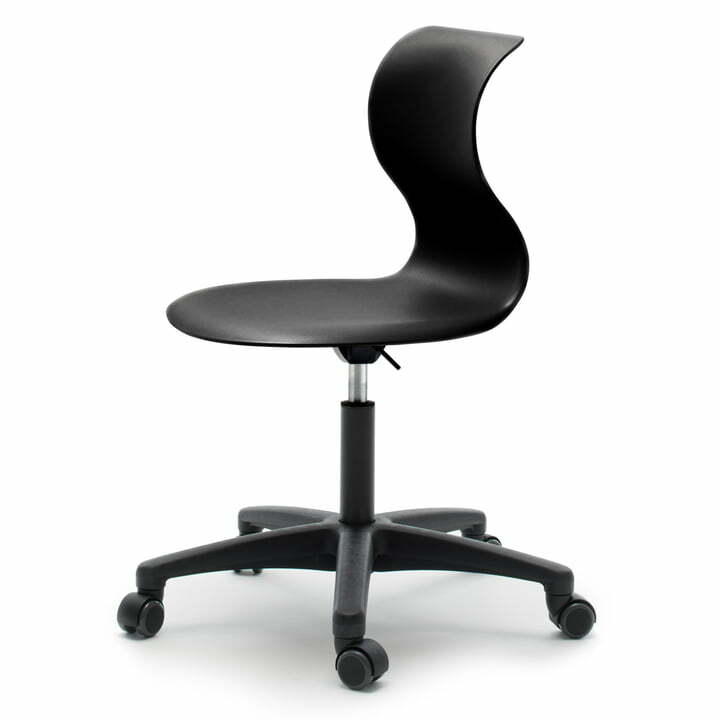 Thanks to the slim forms of the Flötotto Pro 6 swivel chair, it is also excellent for sitting on it astraddle. 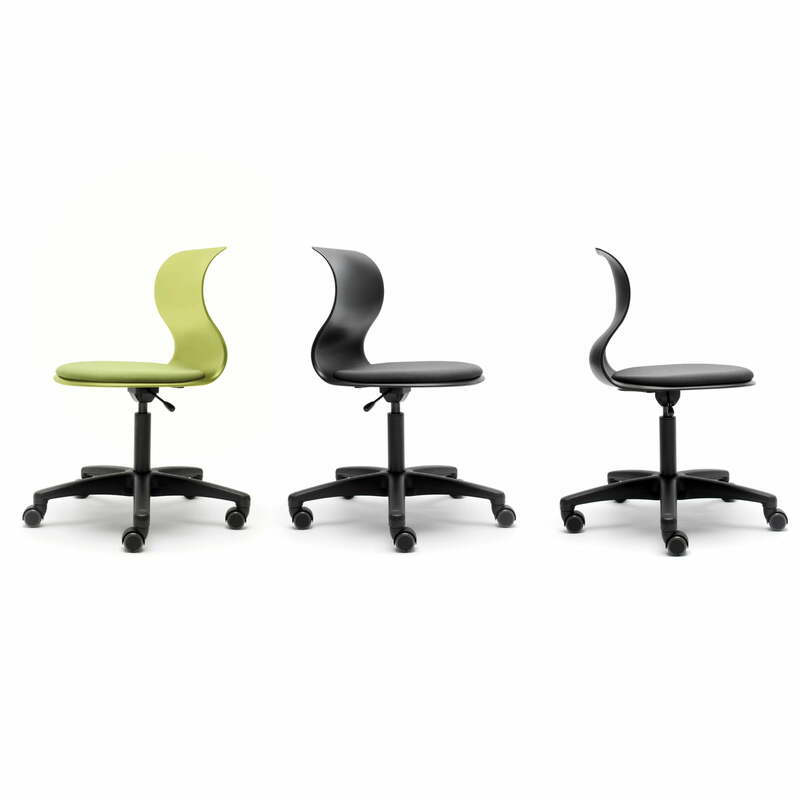 Pro also doesn’t predetermine a seating position, but allows different ergonomic positions – all the way round – 360°. In addition, different wheels are available with a chrome plated or black plastic cap in soft (for hard grounds) and hard (for soft grounds) versions. 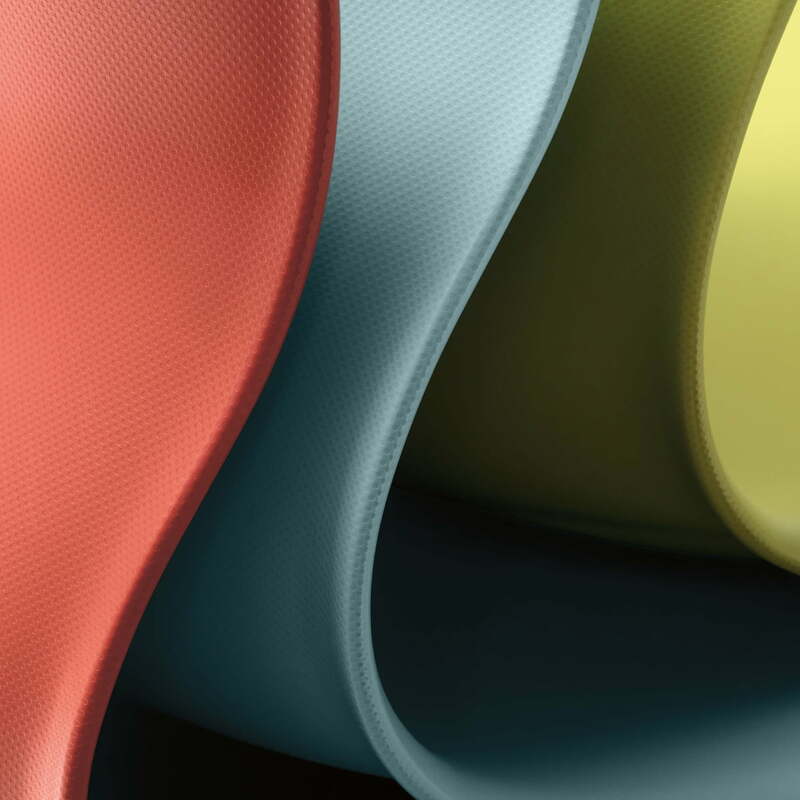 With this range of options, there is a fitting Pro swivel chair for every need. We will gladly advise you for individual configurations of your Pro chair.